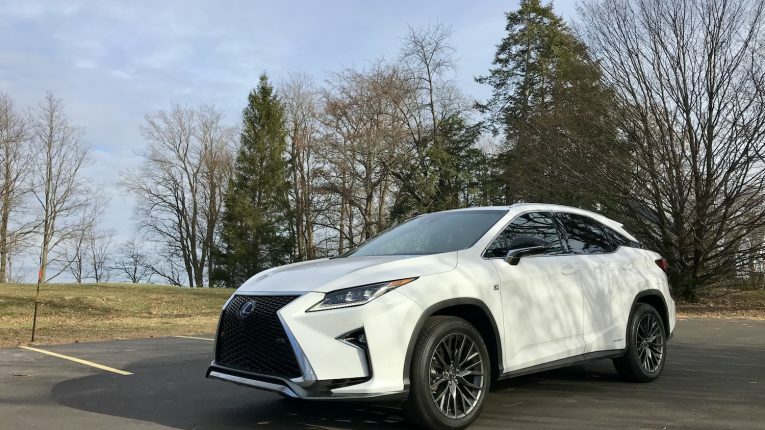 Lexus sparked the crossover craze nearly two decades ago with the first RX and continues to build on that incredible momentum through today. 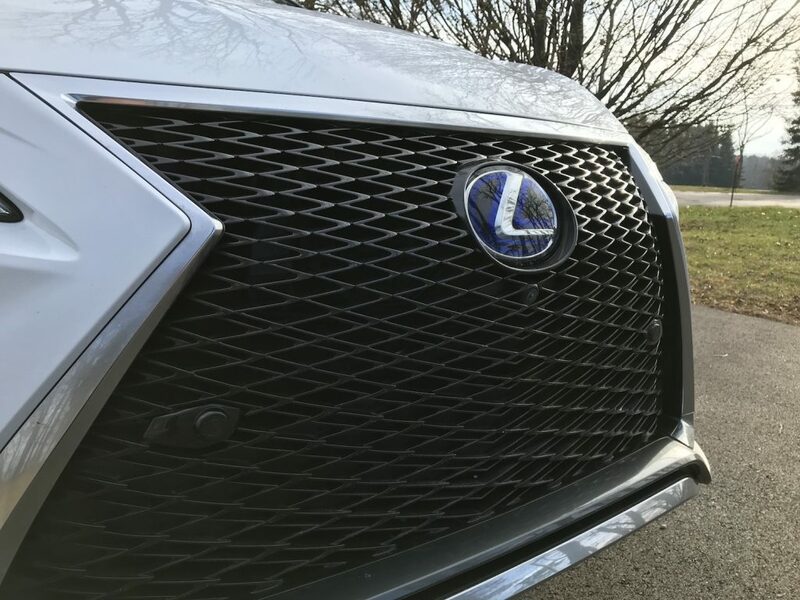 RX is Lexus’ best selling vehicle for good reason: it offers a superb combination of luxury, power, technology, versatility, and efficiency. 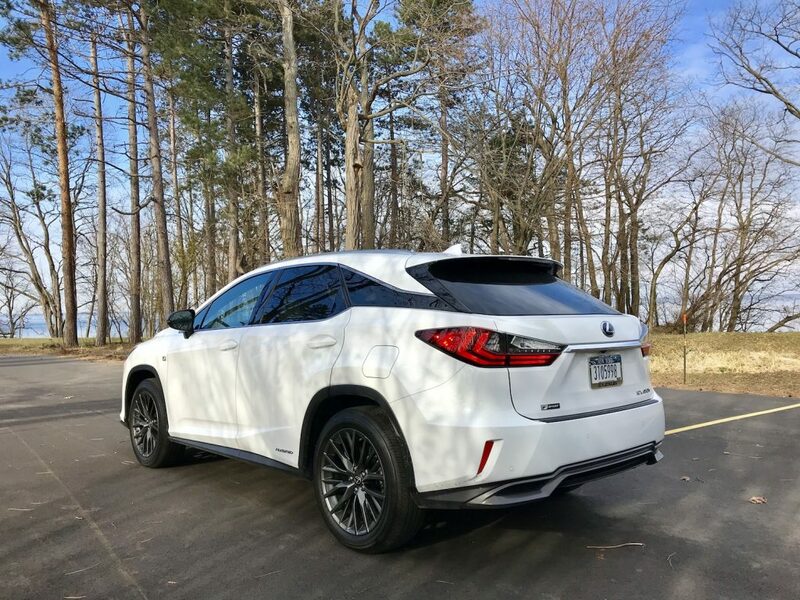 That last one is especially true when opting for the RX 450h, the hybrid powertrain variant of the RX. 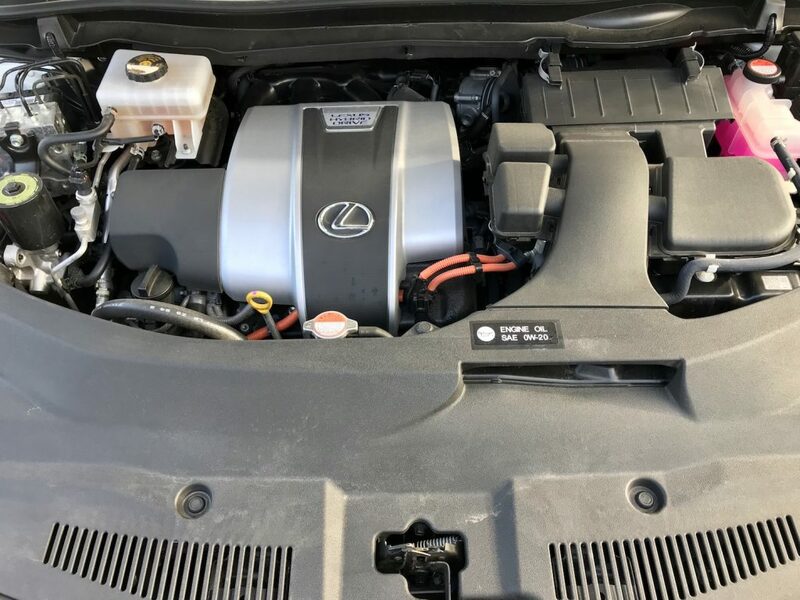 The 3.5L V6 hybrid powertrain from the standard RX 350 is one of our favorite engines. 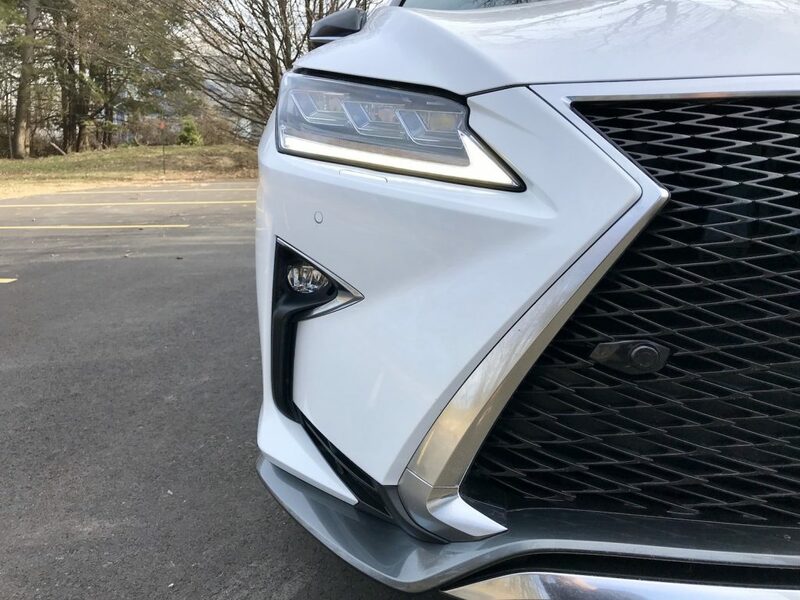 From the way it sounds, to the amount of power it produces, we’re so glad that Lexus chose to balance the power to weight ratio of the RX in proper fashion. 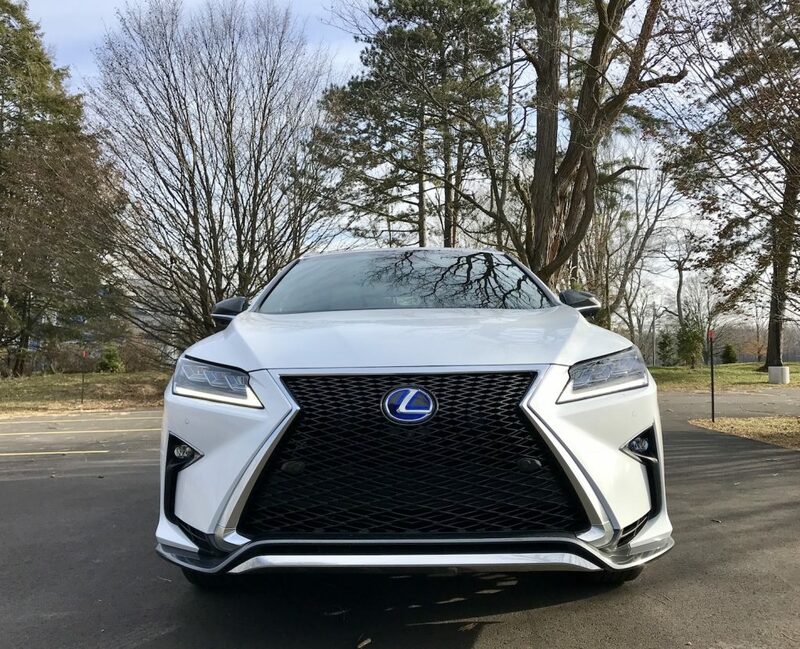 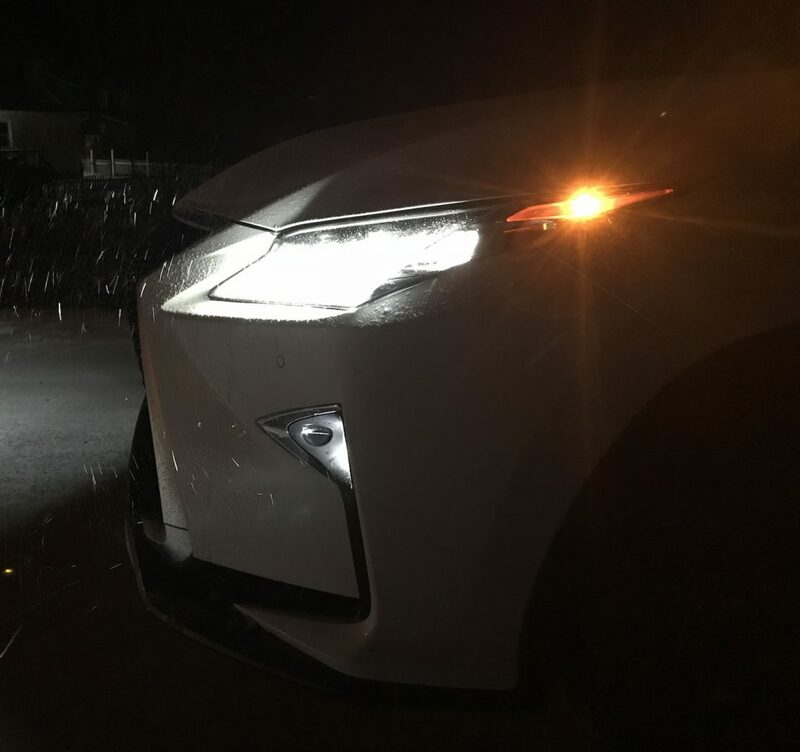 Adding the electrification bits only makes the RX 450h more responsive at all speeds and incredibly efficient around town. 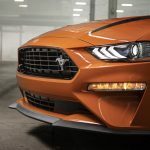 The powertrain has been updated and combines direct and port fuel injection systems. 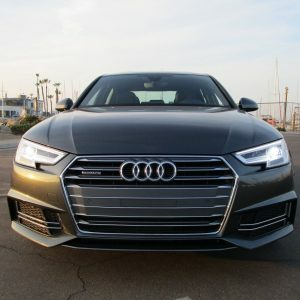 To maximize torque and efficiency, engineers added what they call Variable Valve Timing with intelligence Wide (VVT-iW) on the intake camshaft, along with VVT-i on the exhaust camshaft, allowing the engine to switch between Otto and Atkinson combustion cycles. 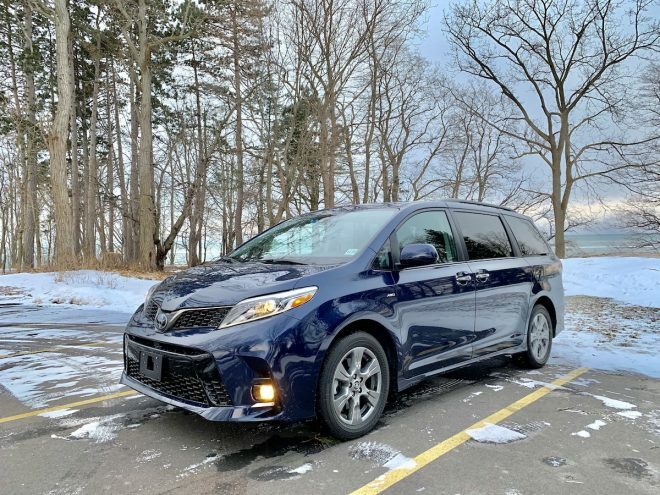 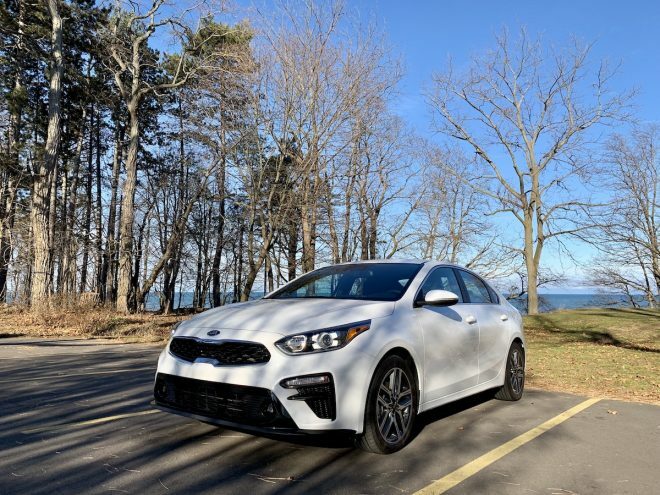 Mated to an 8-speed automatic, it guzzles regular grade gas and in our week of testing, achieved 31 MPG in mixed city and highway driving–unbelievable for a vehicle of this size with AWD. 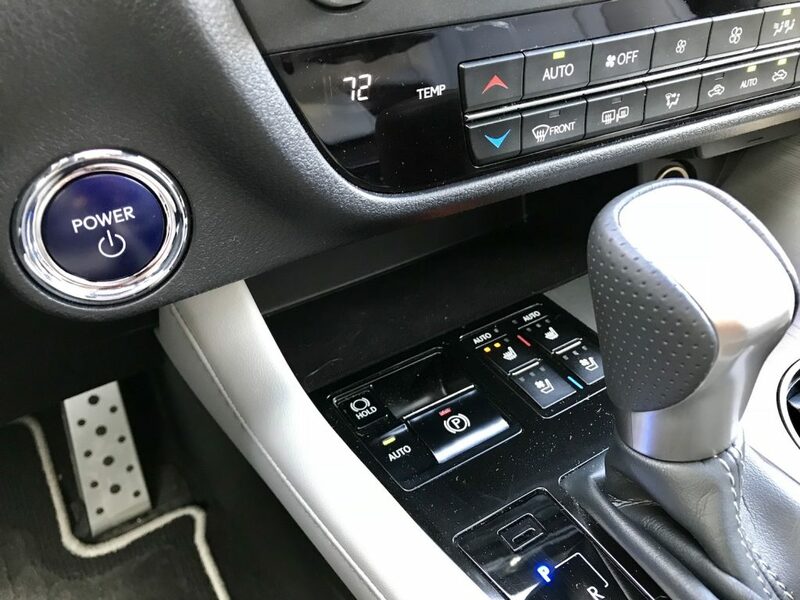 Beyond the engine, two high-torque electric drive motor-generators deliver strong acceleration and passing performance. 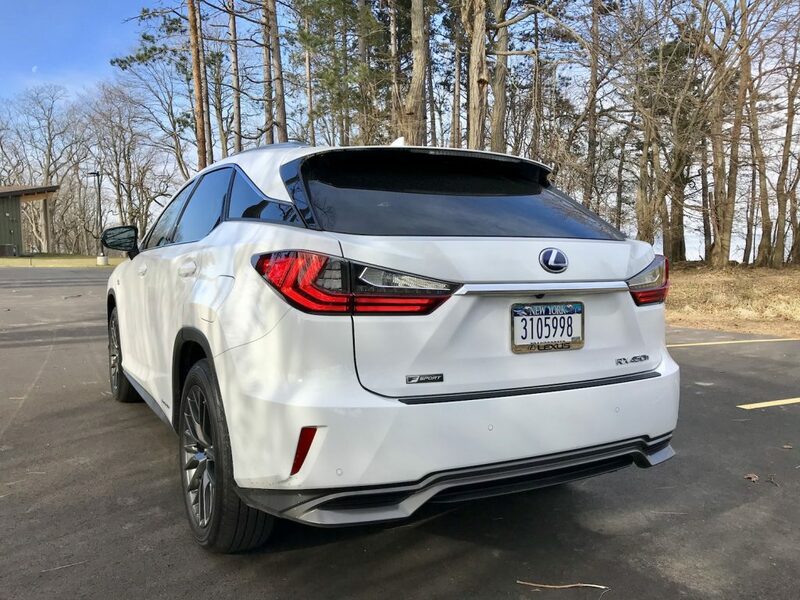 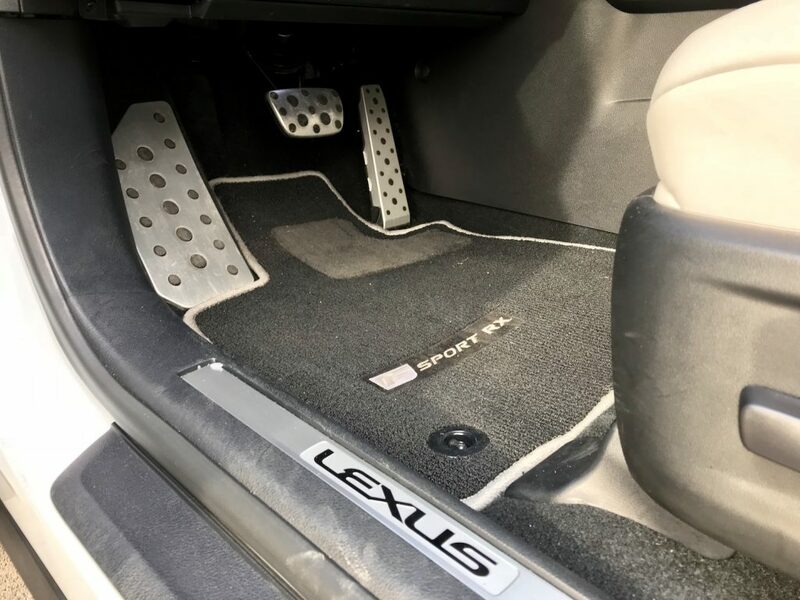 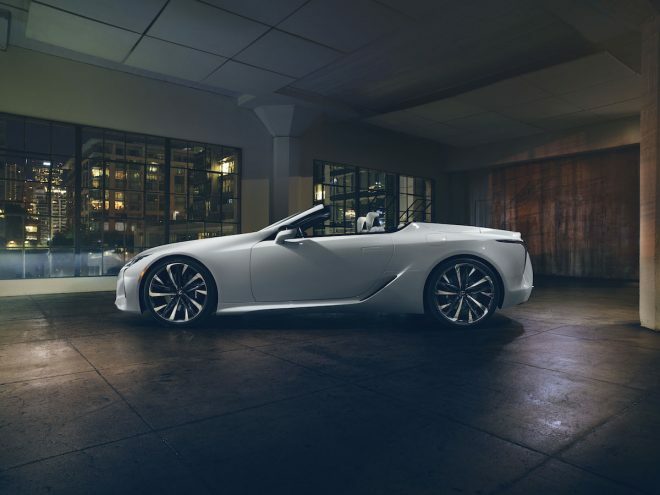 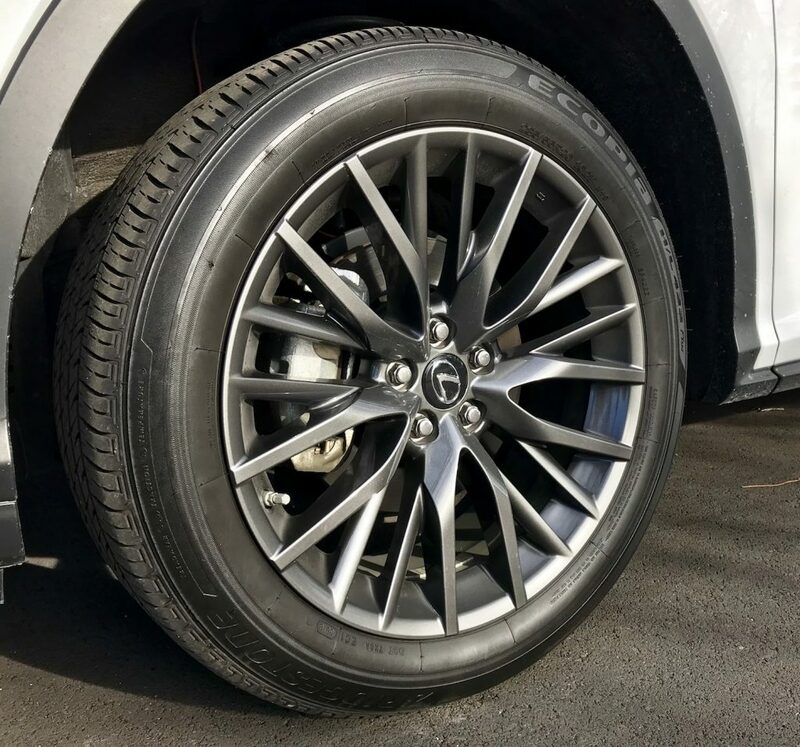 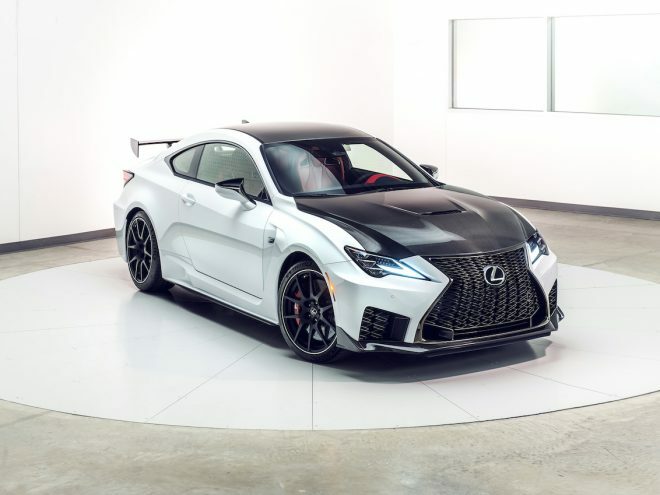 Instead of transfer gears and a driveshaft to the rear wheels, Lexus designed the all-weather drive system to utilize an independent electric motor to spin the rear wheels when needed to help maintain optimal traction. 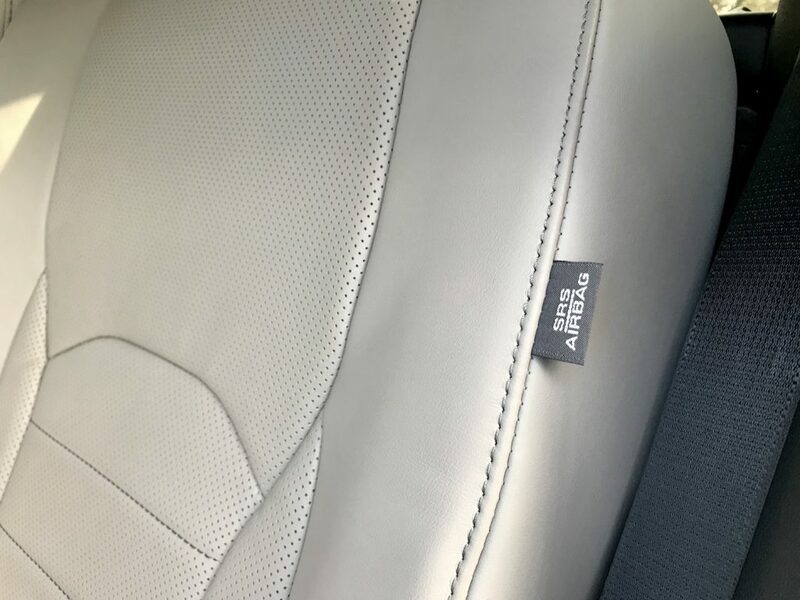 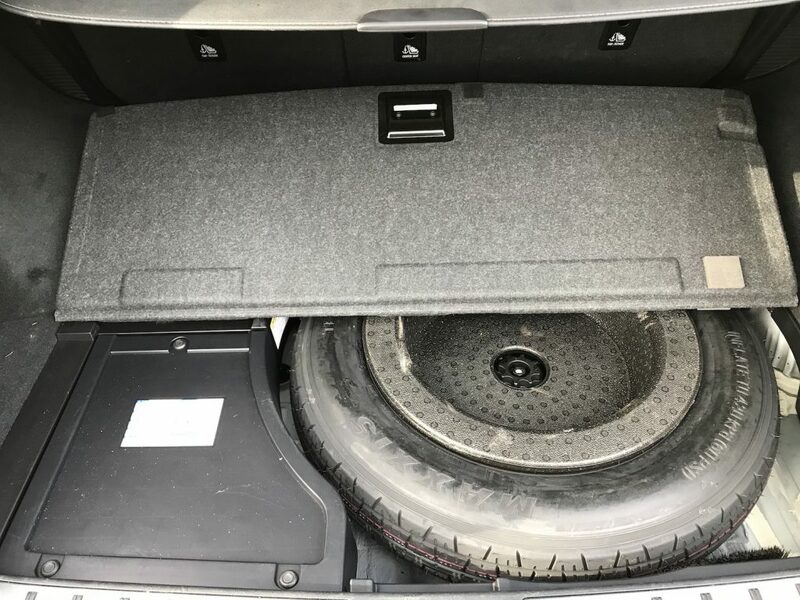 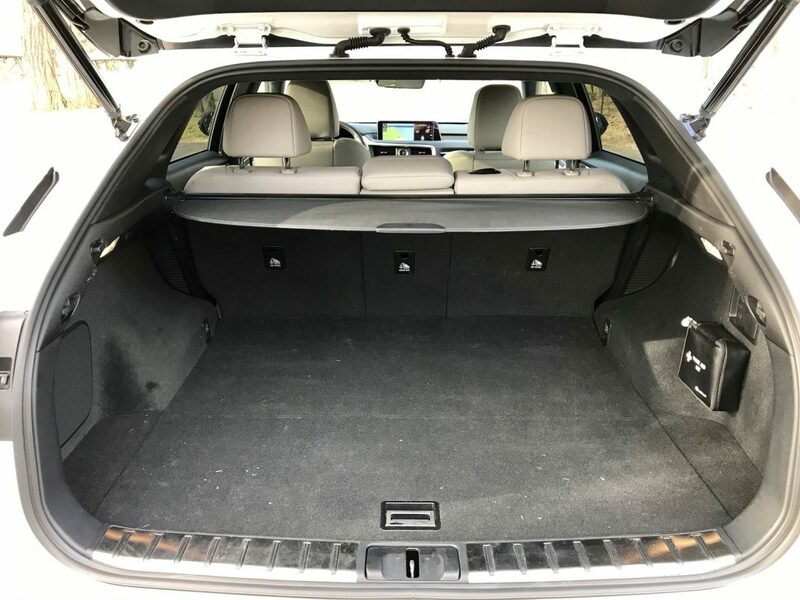 A 37 kW nickel metal hydride (Ni-MH) hybrid battery is tucked under the rear seat and doesn’t affect cargo room. 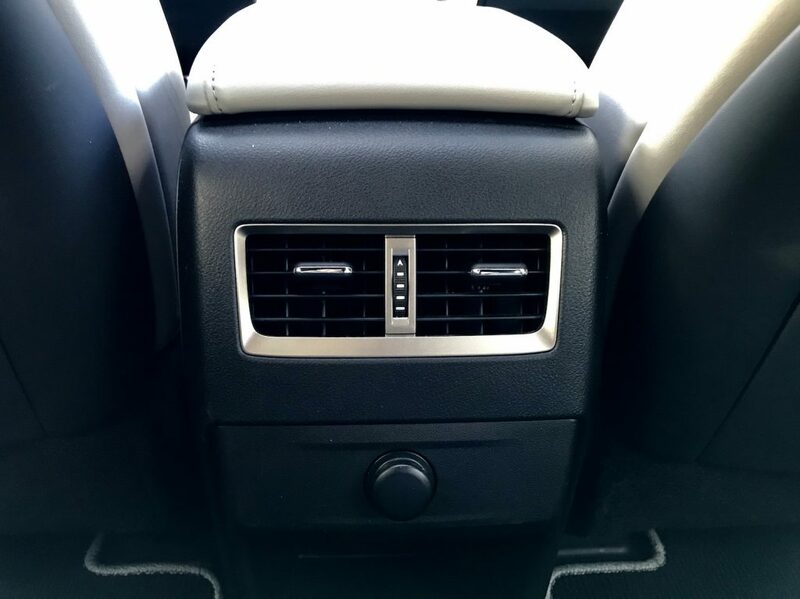 Total system horsepower is rated at 308. 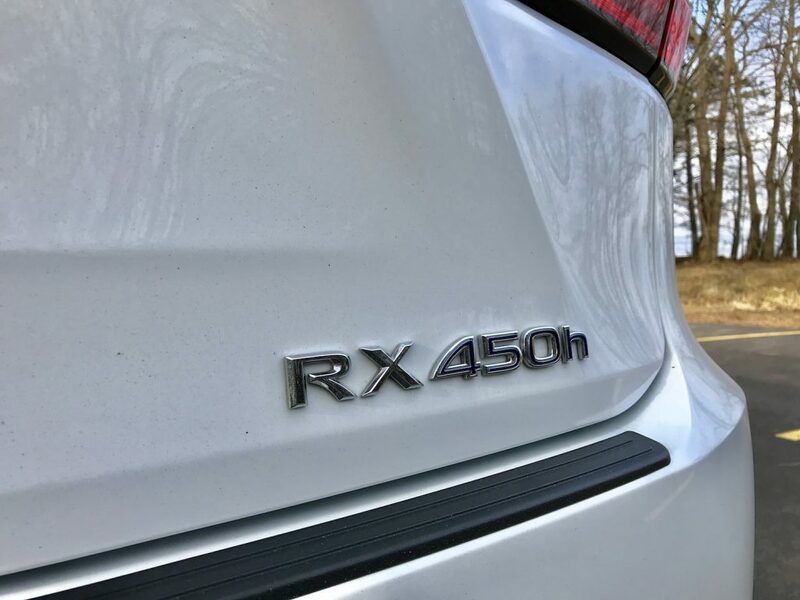 The RX 450h offers four distinct driving modes. 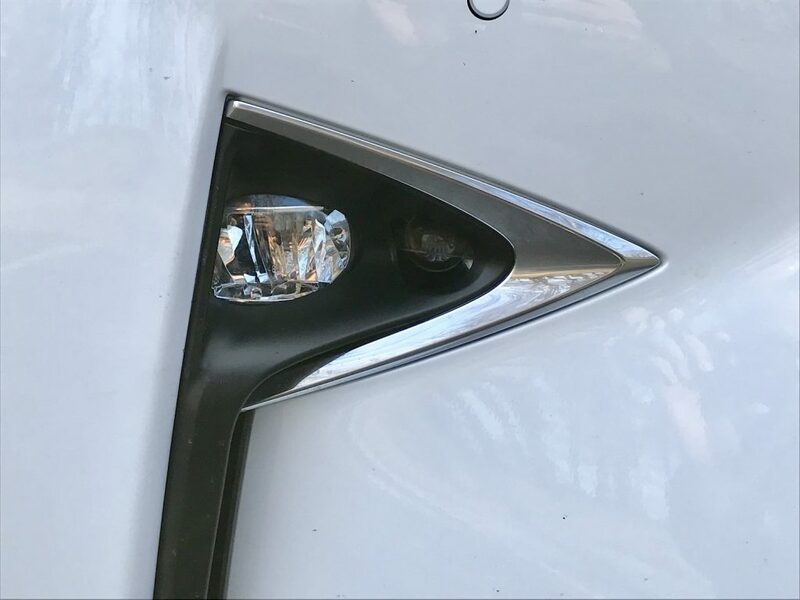 Normal provides an ideal everyday balance of performance and energy conservation, and is what the RX defaults to each time it’s started. 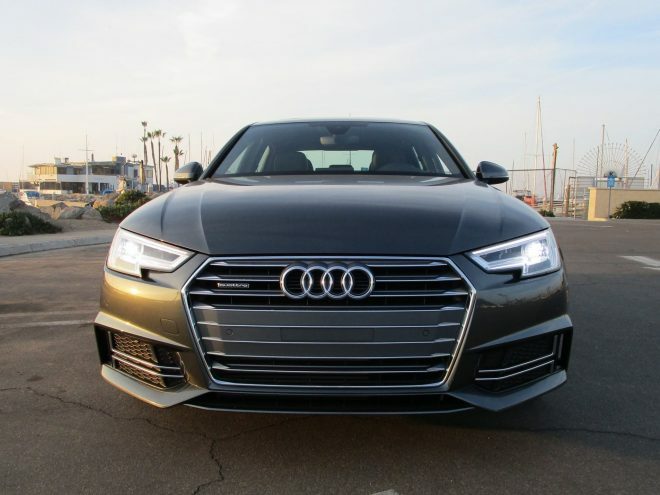 Sport adds some edginess by remapping the throttle, creating a more responsive feel and also increasing steering heft. 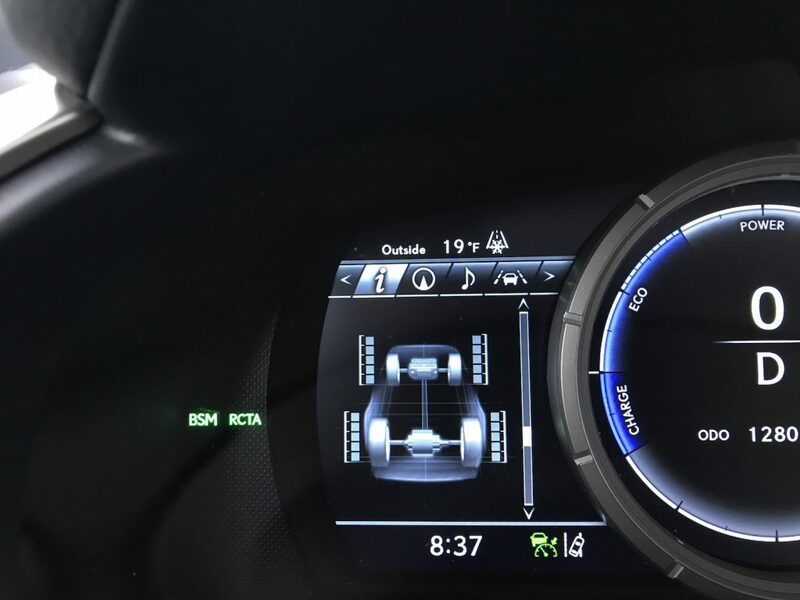 Eco mode remaps the throttle as well, but from the angle of reducing acceleration performance for greater efficiency. 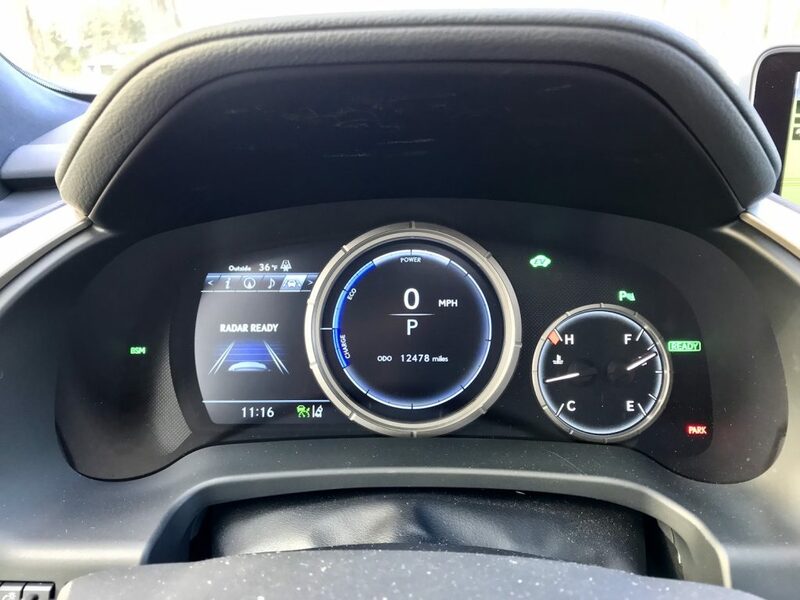 The fourth mode, EV, allows the RX 450h to drive under electric power at lower speeds, usually under 30 MPH for a short distance. 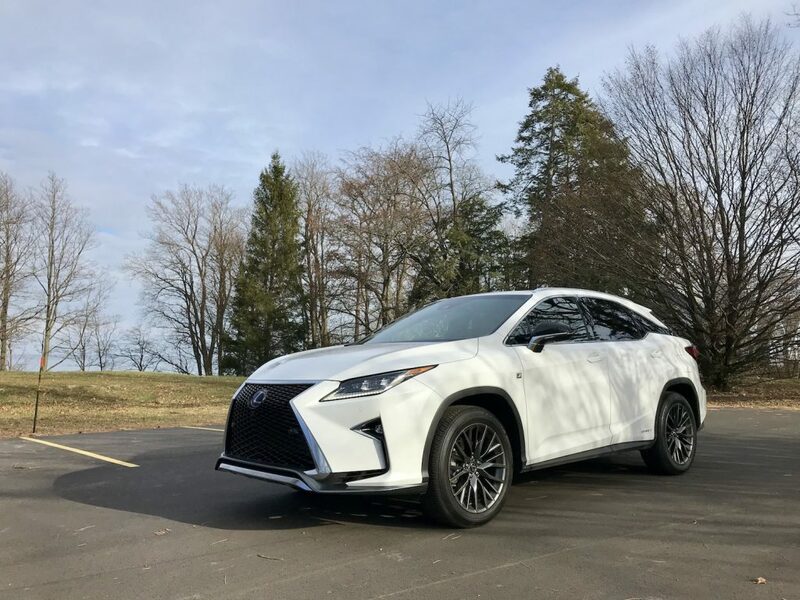 Beyond the complex hybrid powertrain technology, the RX 450h offers a suite of safety systems that are now standard and infotainment options to entertain for hours. 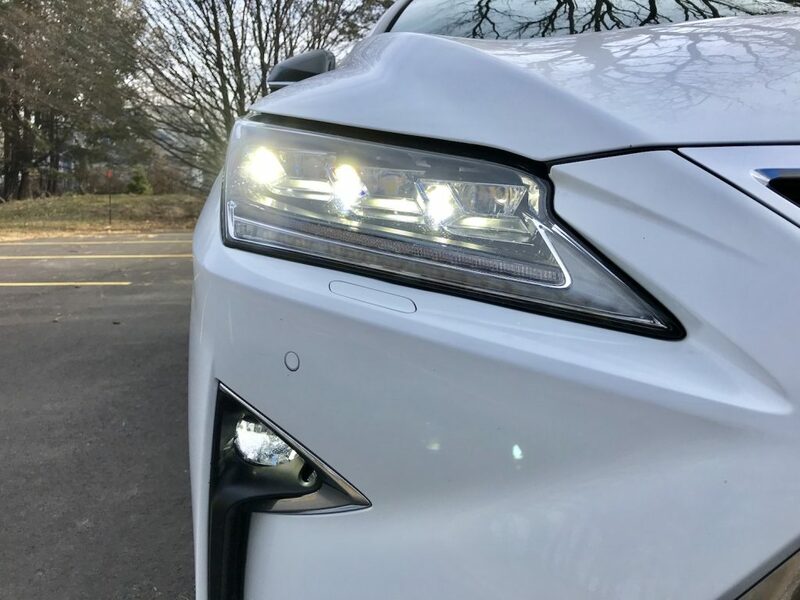 The standard Lexus Safety System+ includes Pre-Collision System (PCS), Lane Departure Alert (LDA) with Steering Assist, Intelligent High Beam (IHB) and High-Speed Dynamic Radar Cruise Control. 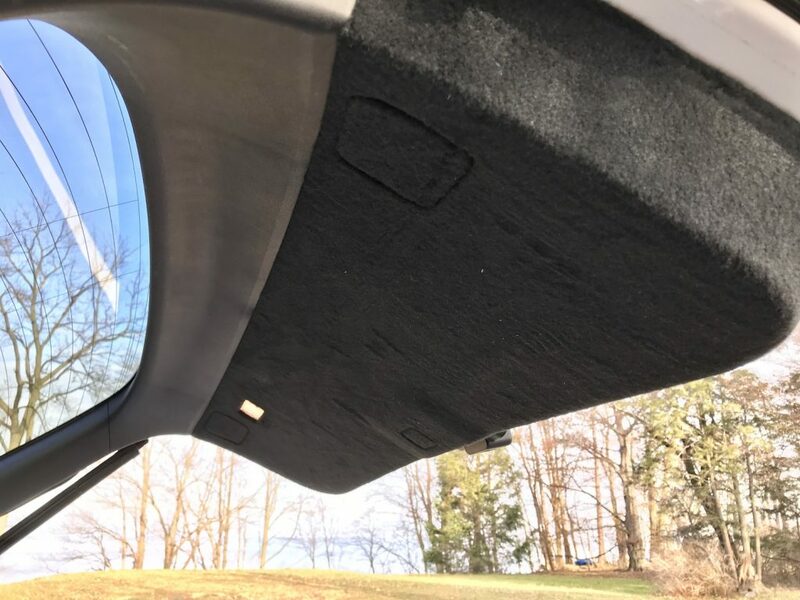 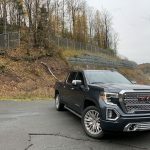 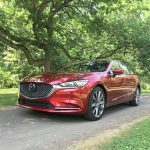 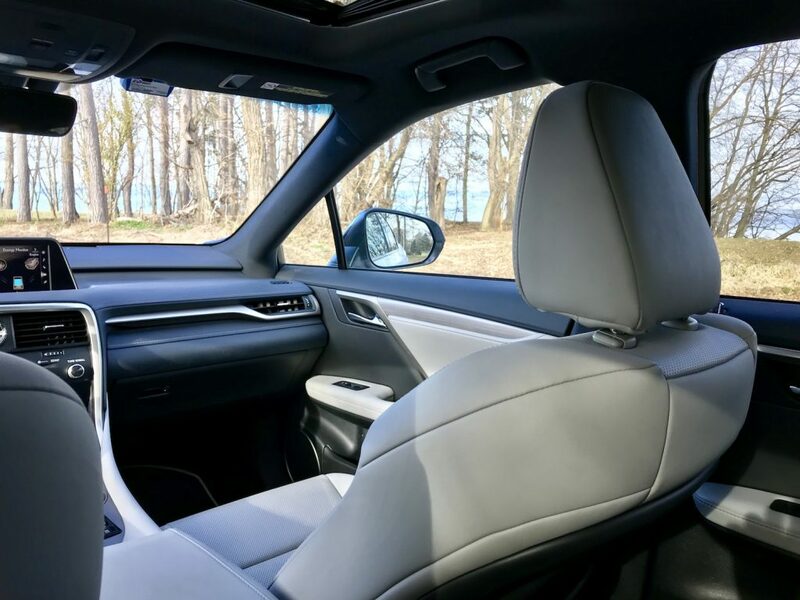 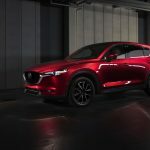 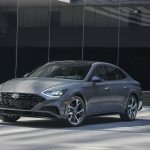 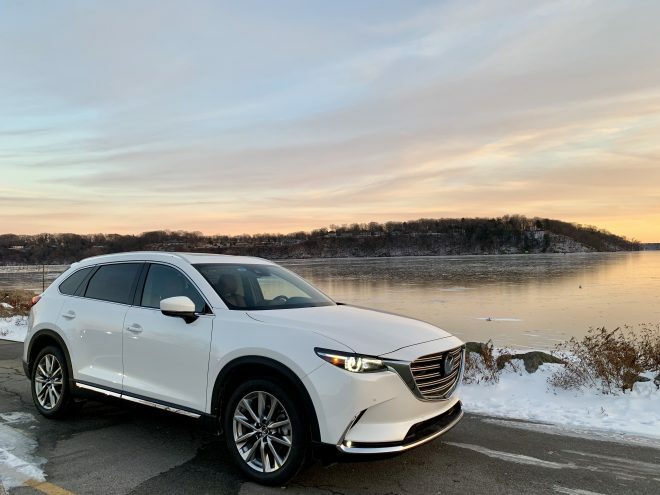 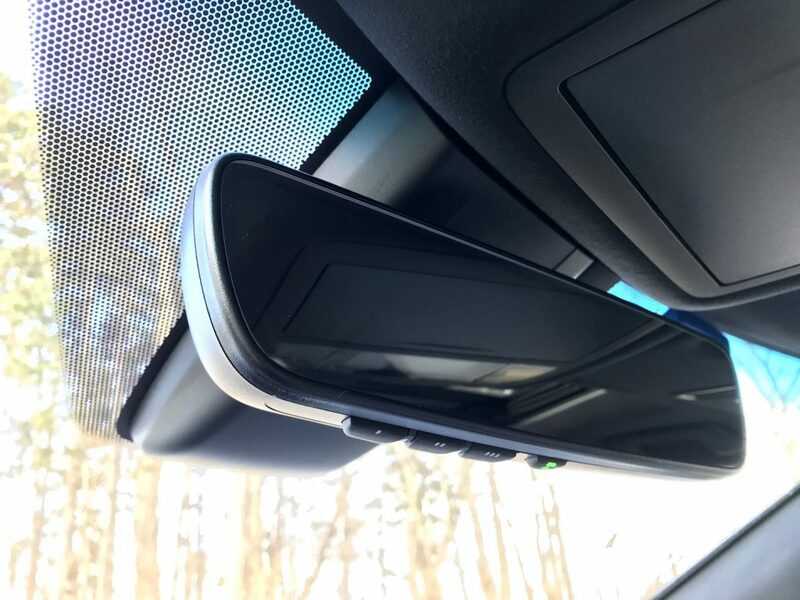 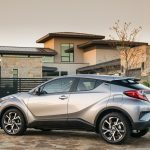 This is a huge advantage over other luxury crossovers, which still don’t offer these necessary technologies as standard equipment, or even an option on some trim levels. 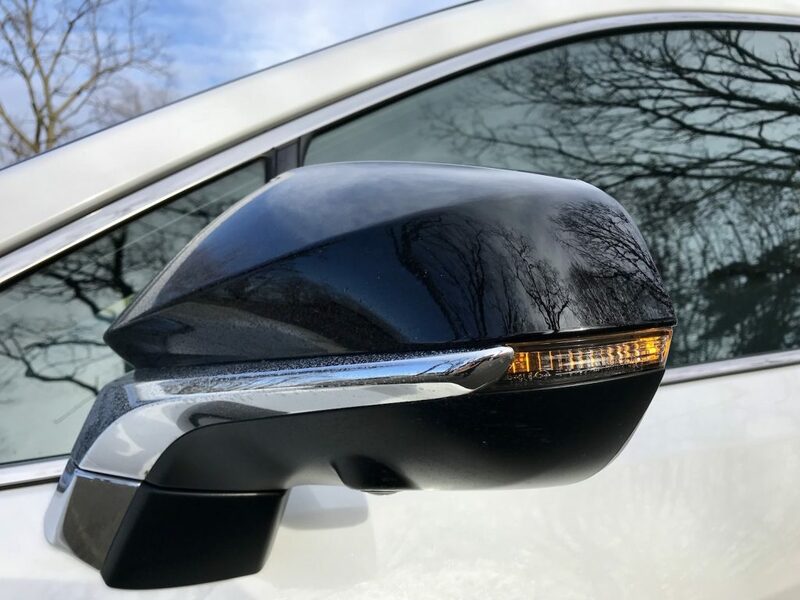 Lexus also made Blind Spot Monitor with Rear Cross Traffic Alert with Auto Braking standard on the RX 450h. 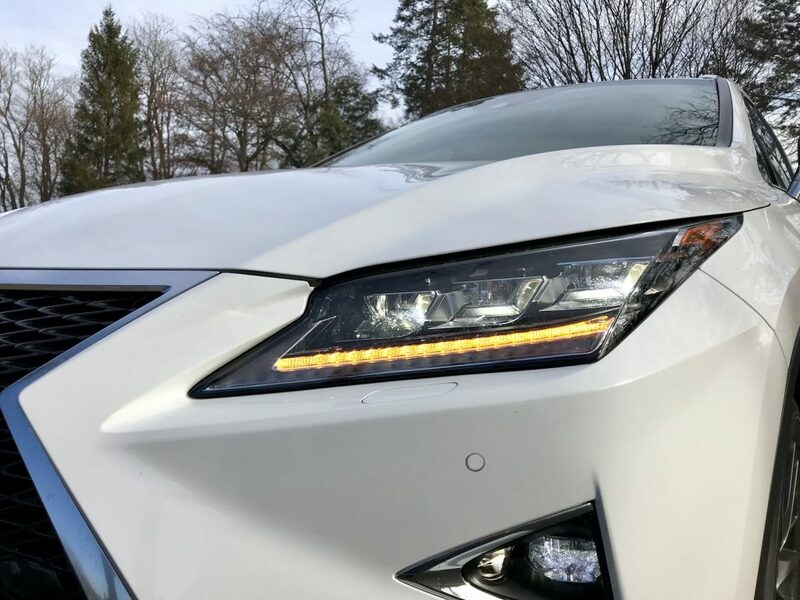 That means the RX will brake if the driver doesn’t when reversing and ignoring the system’s warning that there’s a vehicle or pedestrian crossing behind. 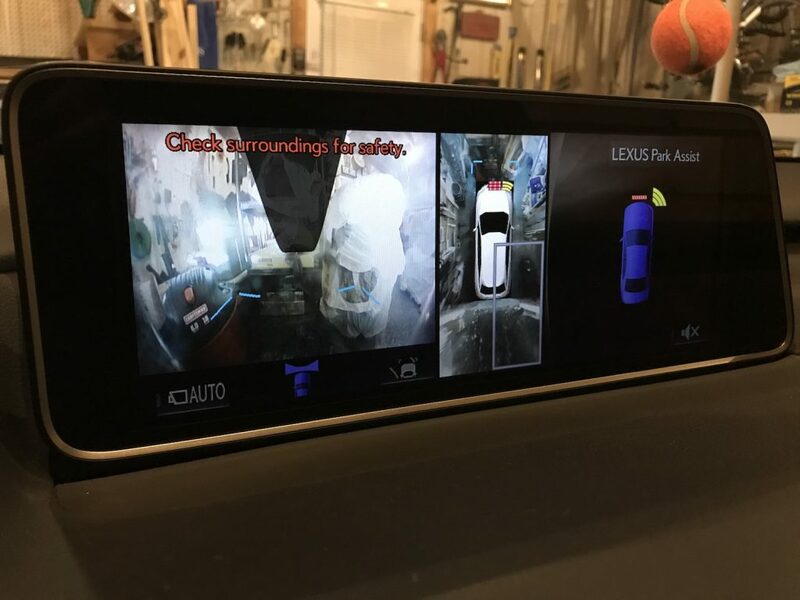 The panoramic view monitor on our tester also makes parking a cinch with a full 360 view of what’s surrounding the vehicle. 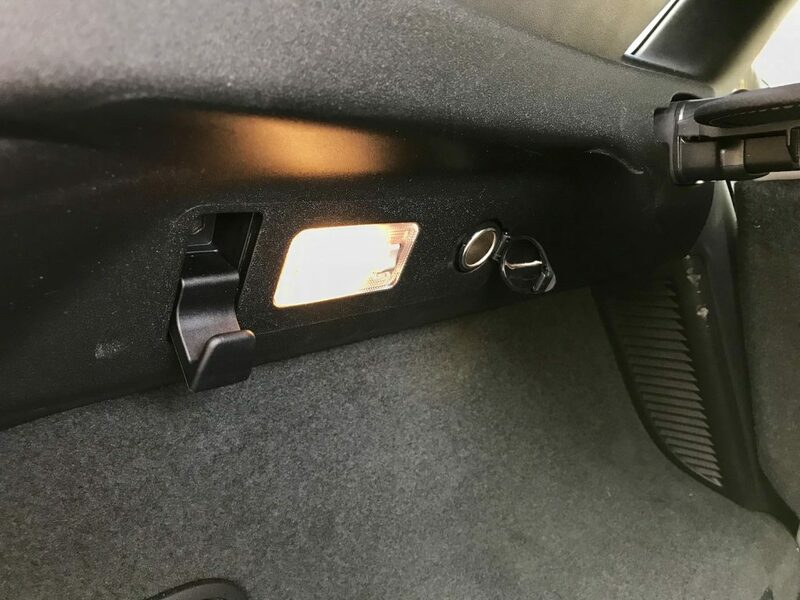 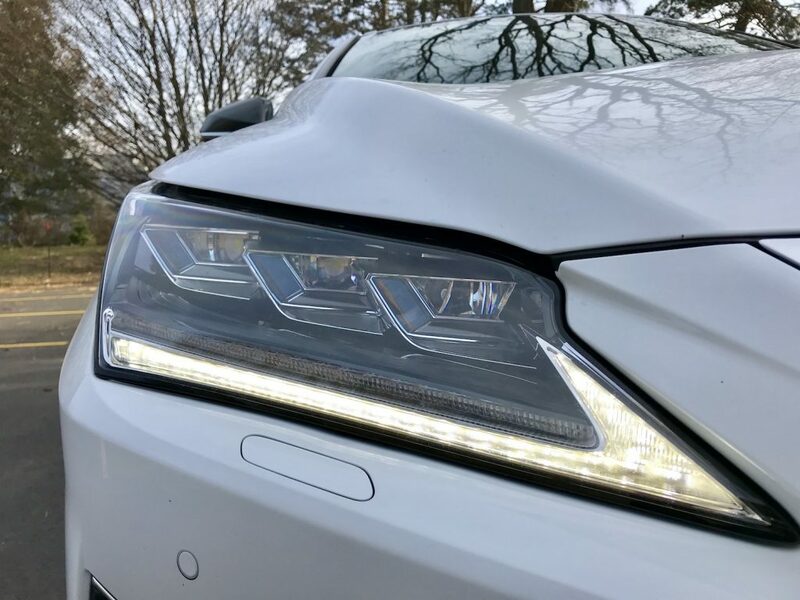 In the lighting department, incredible bright LED headlights are accompanied by 18 individual LEDs that surround the headlights and act as turn signal indicators. 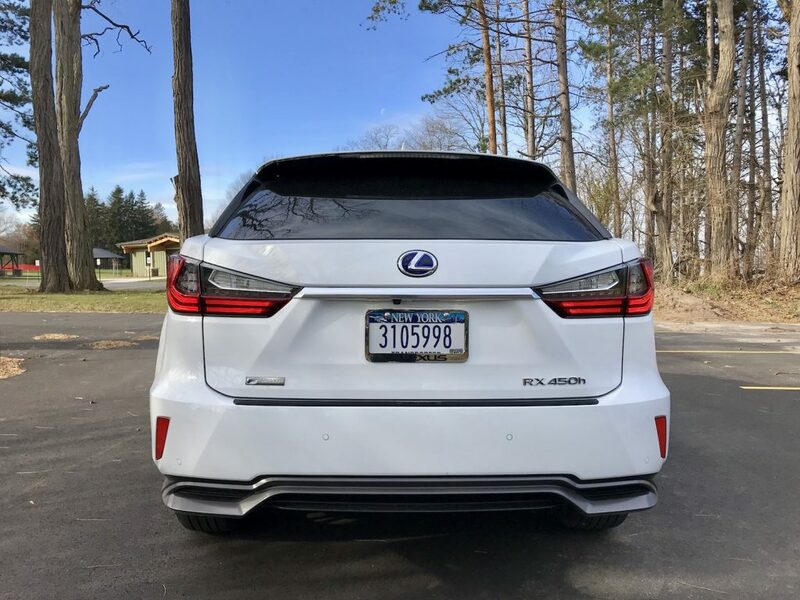 At the rear, where L-shaped LED taillights envelope the tailgate and wrap into the rear fenders. 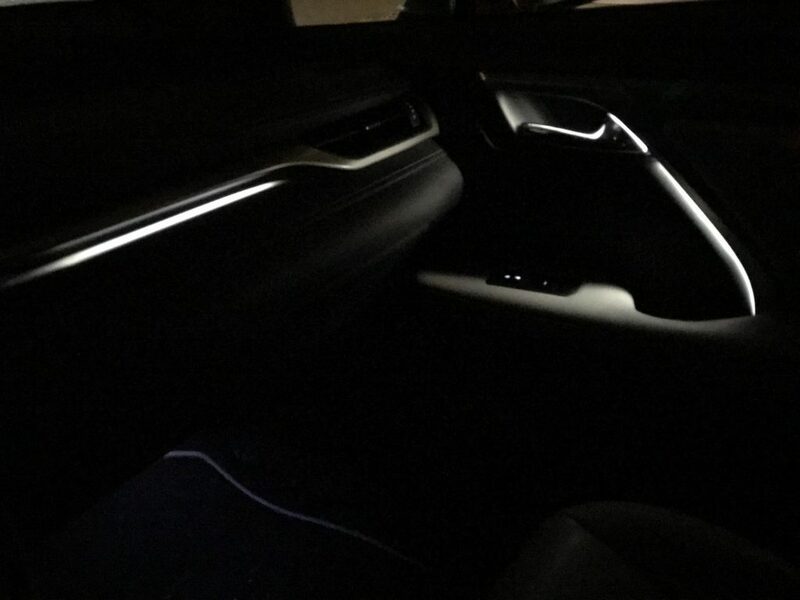 At night, road illumination is far and intensely bright. 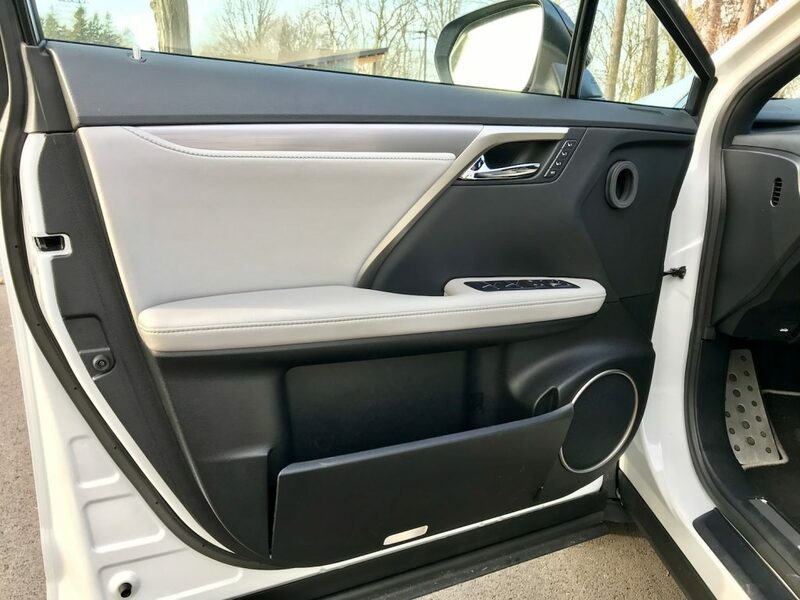 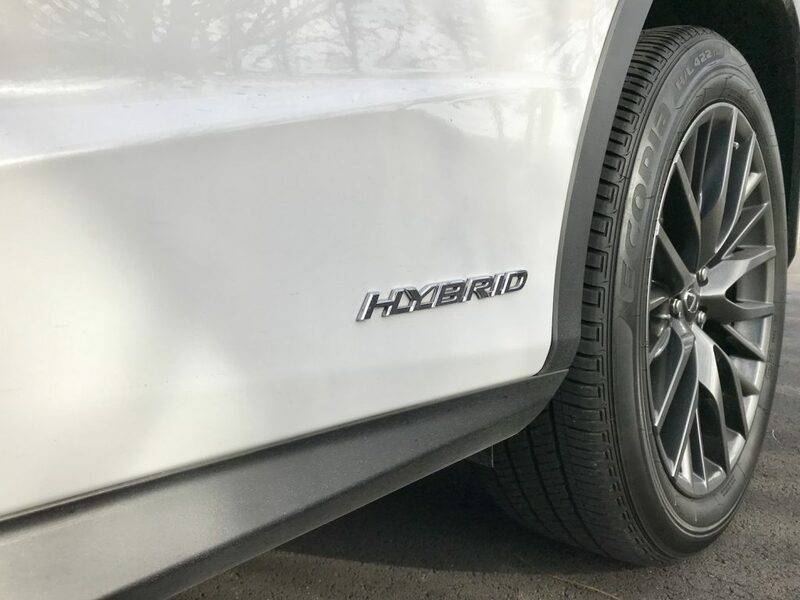 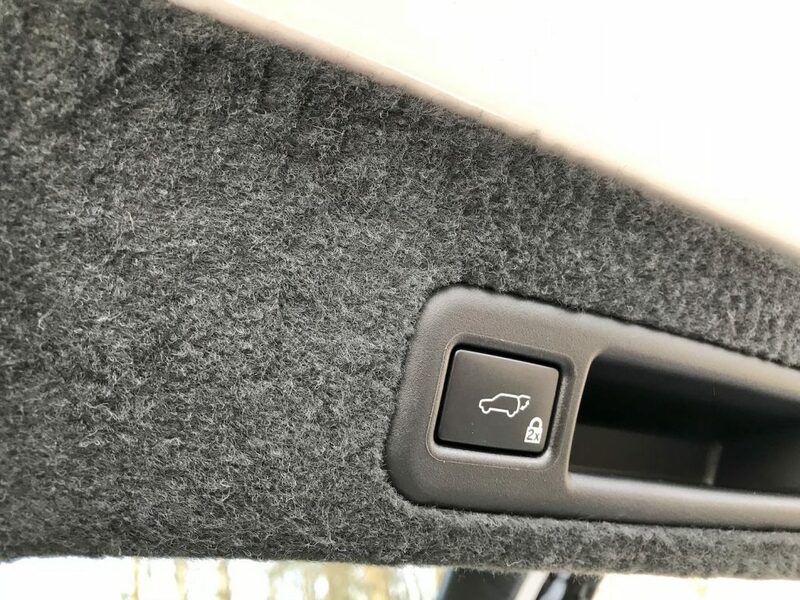 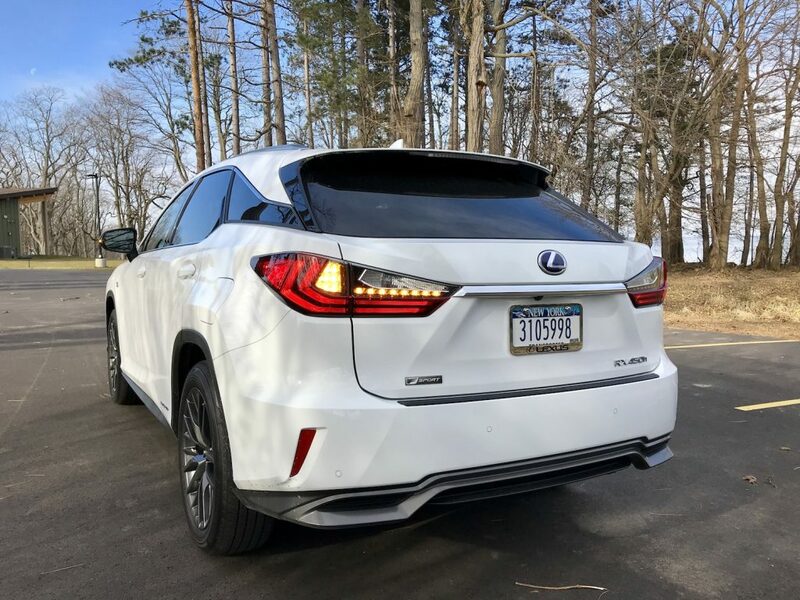 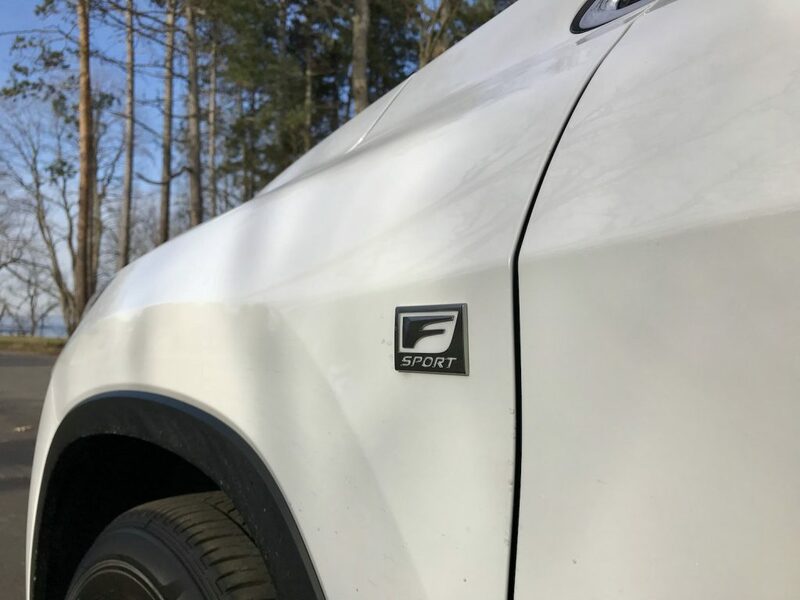 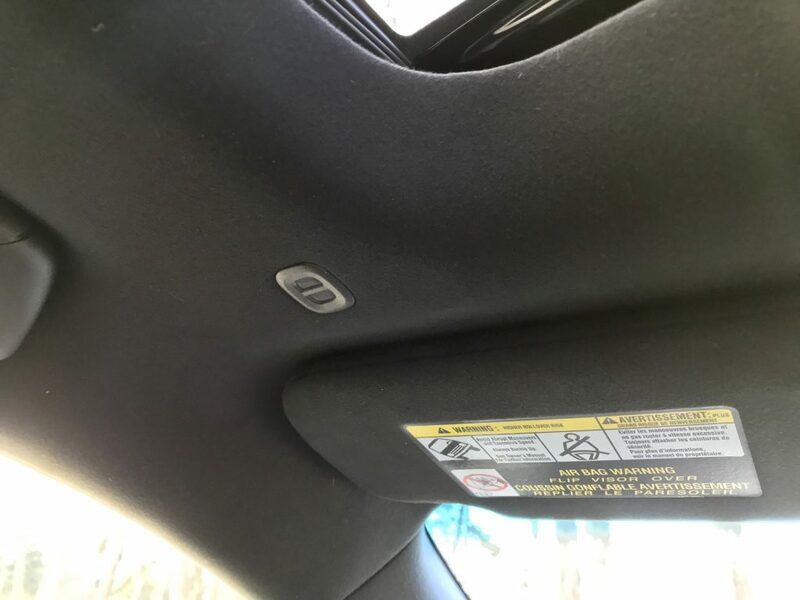 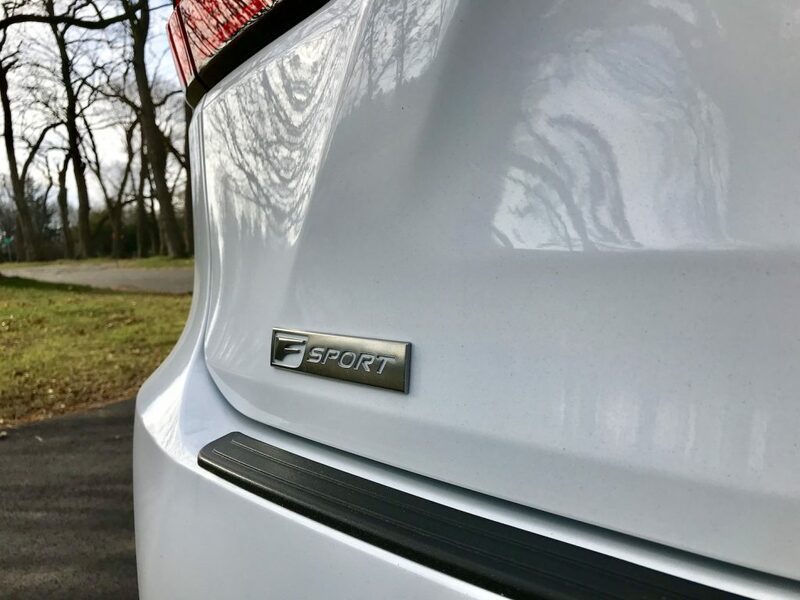 Our RX 450h F-Sport was equipped with the touch-free rear door, which works by holding your hand over the rear Lexus badge and voila! 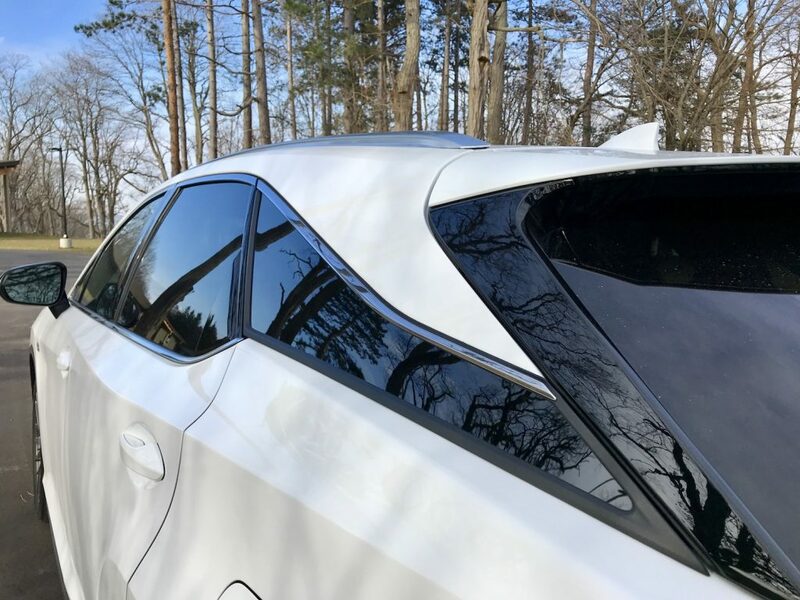 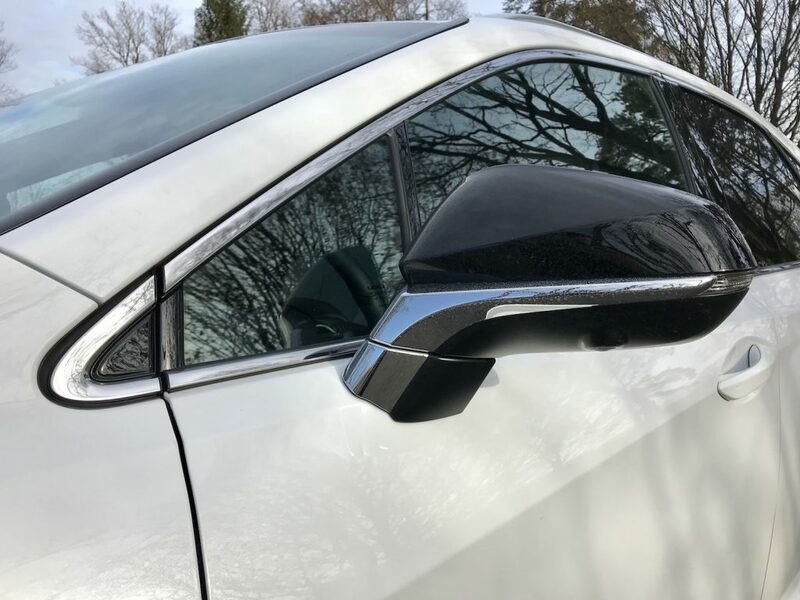 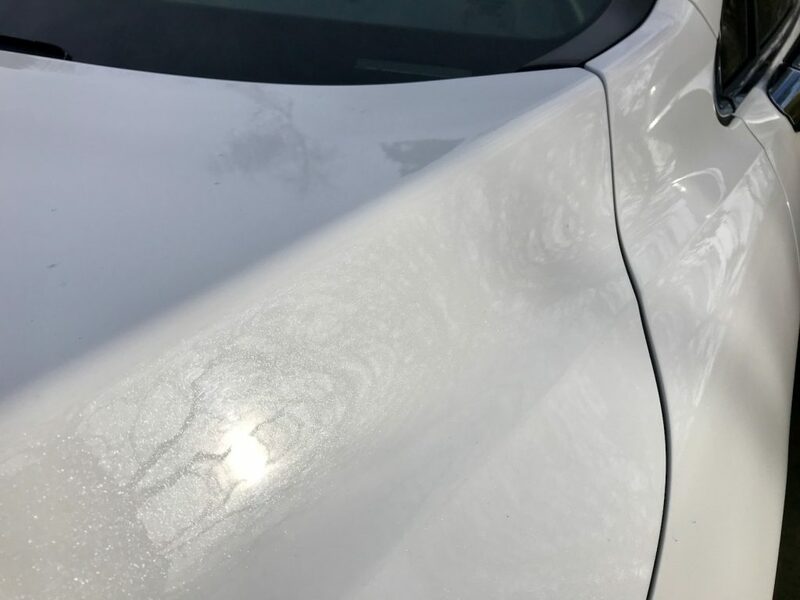 Also worth noting is that RX paints feature a scratch-resistant self-restoring clear coat, something that will provide years of stunning luster. 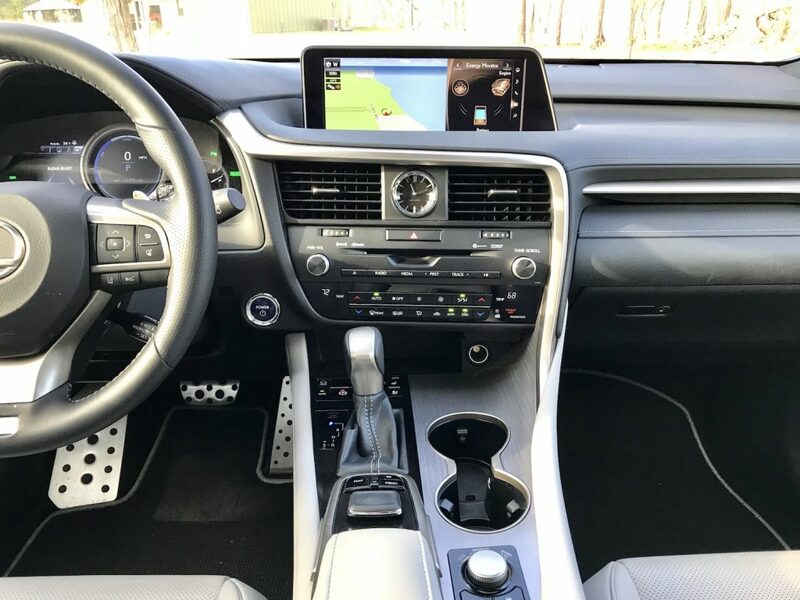 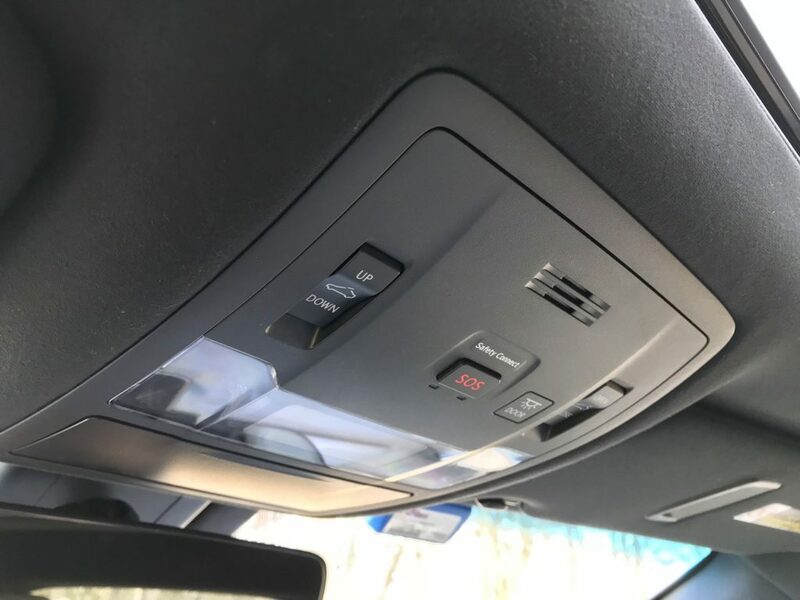 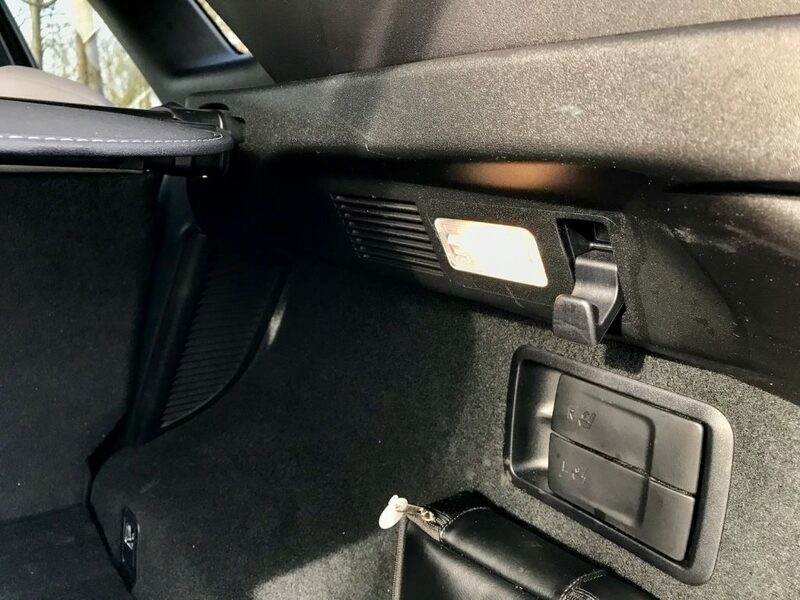 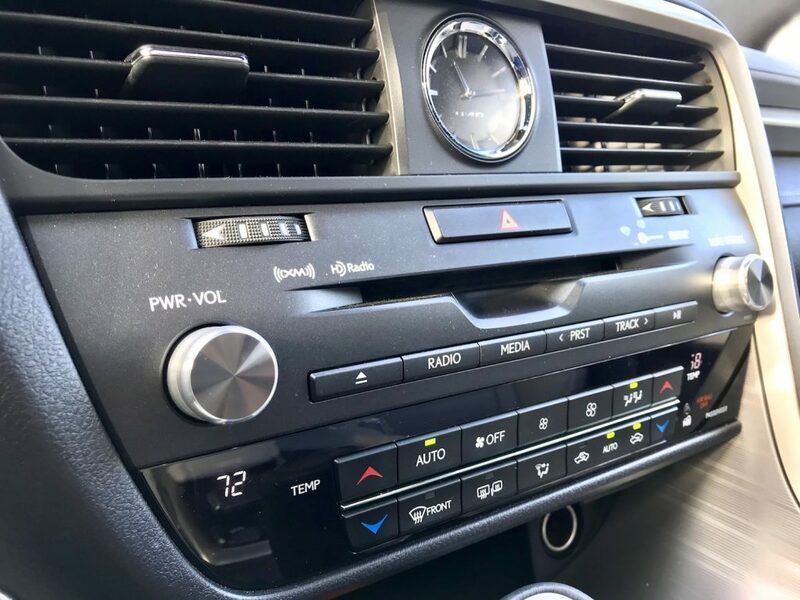 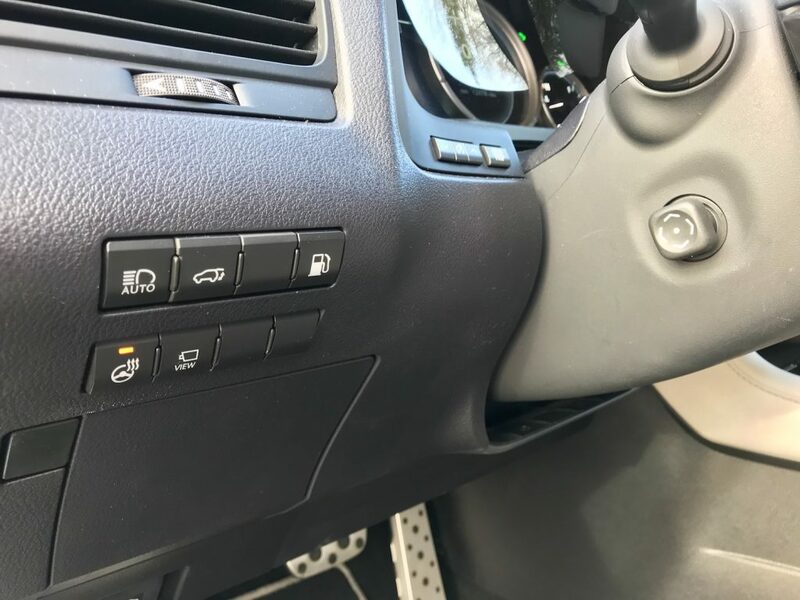 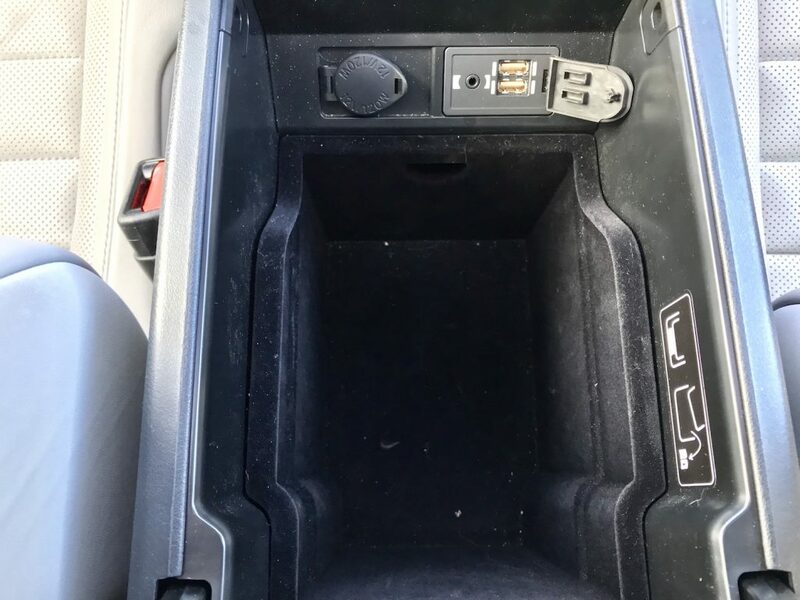 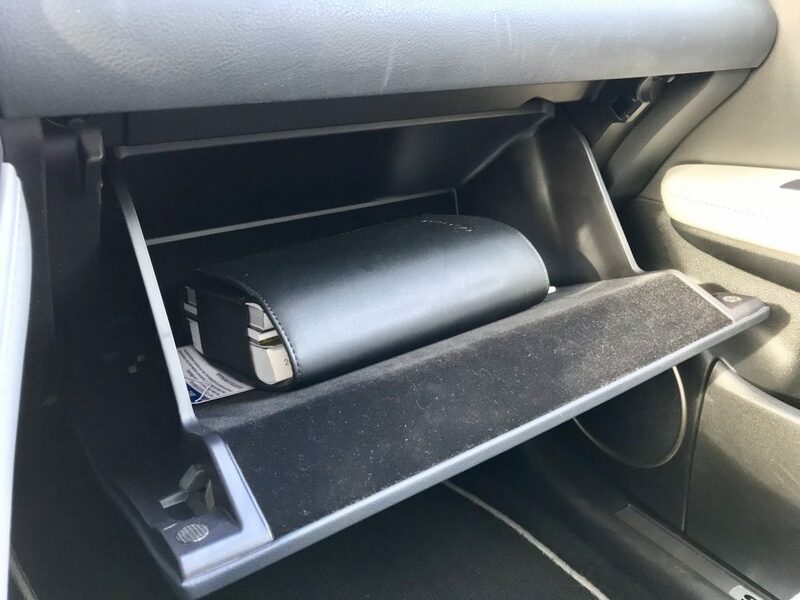 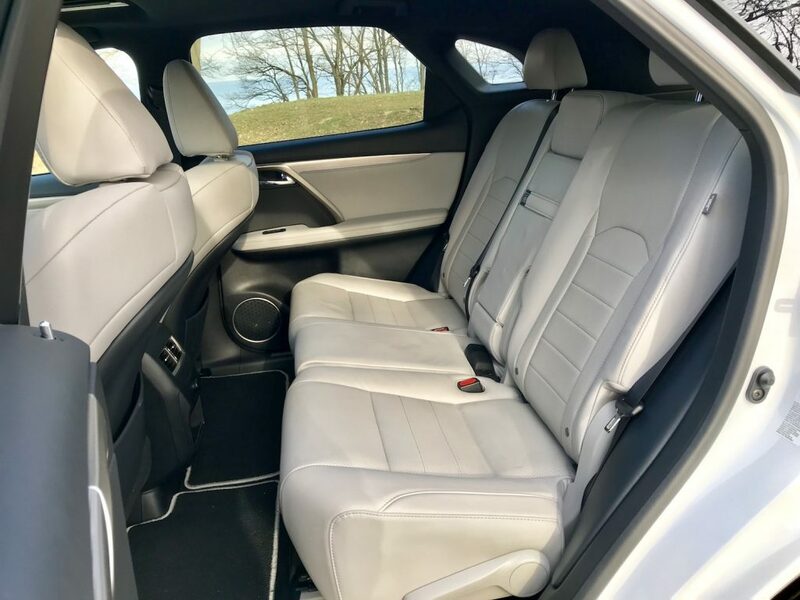 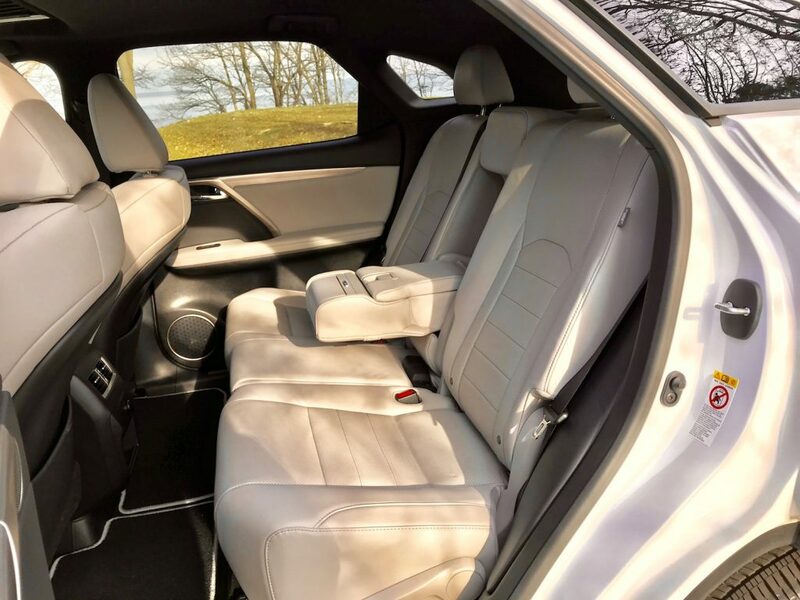 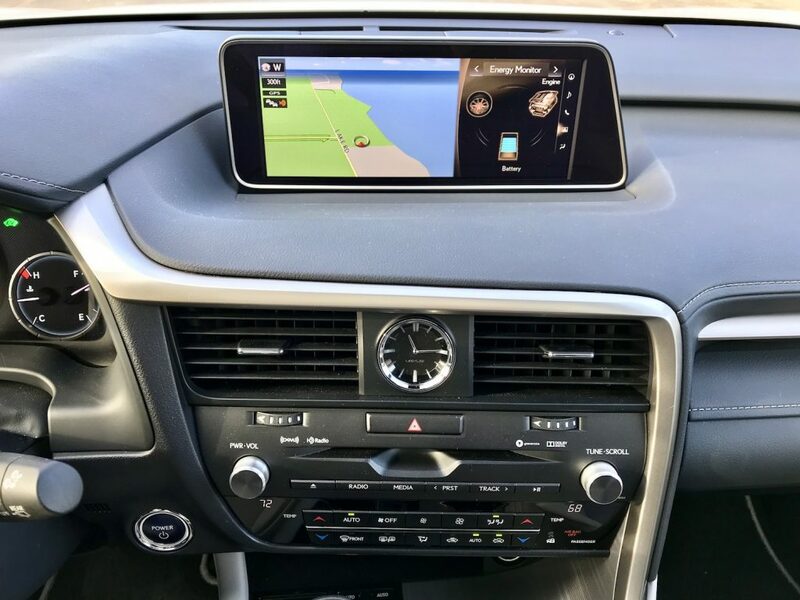 Inside, the 12-speaker audio system and 12.3″ infotainment widescreen display is perfect for split views of navigation with audio info, or audio with hybrid power delivery and braking energy capture. 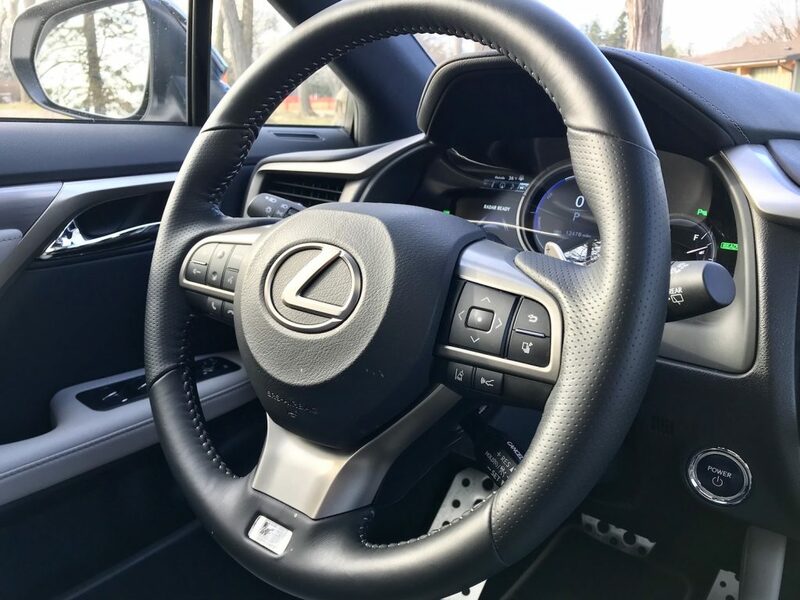 Controlling the system through the mouse-like controller is a bit of a learning curve but thankfully the RX 450h’s Adaptive Variable Suspension creates a smooth, controlled ride that makes using it much easier. 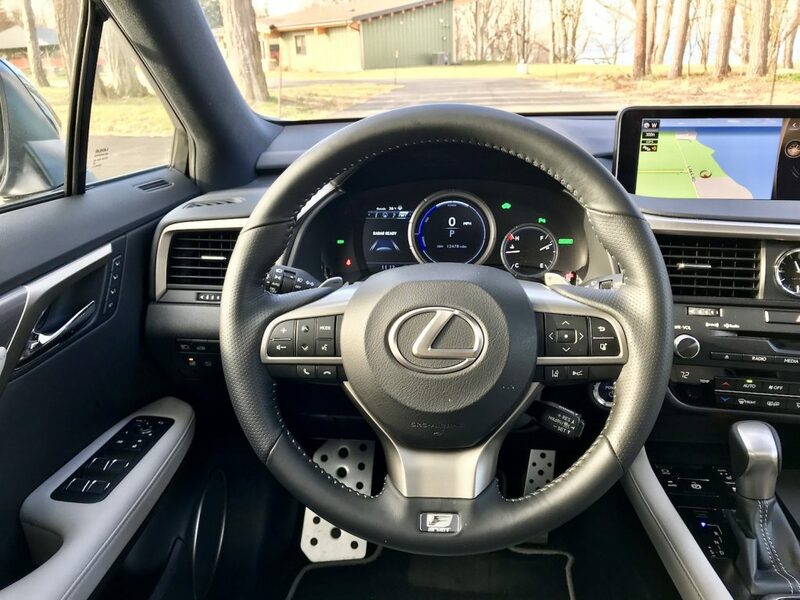 Facing the driver is an 8″ LCD instrument cluster inspired by the Lexus LFA supercar. 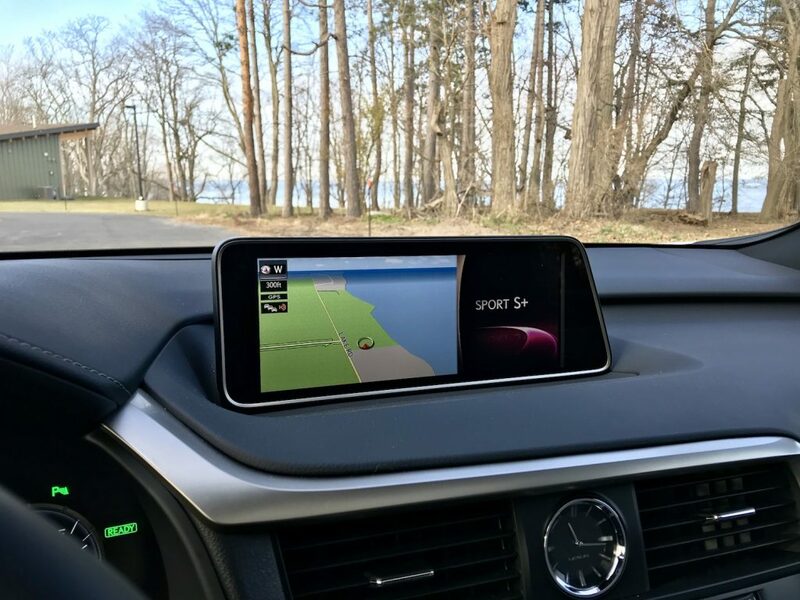 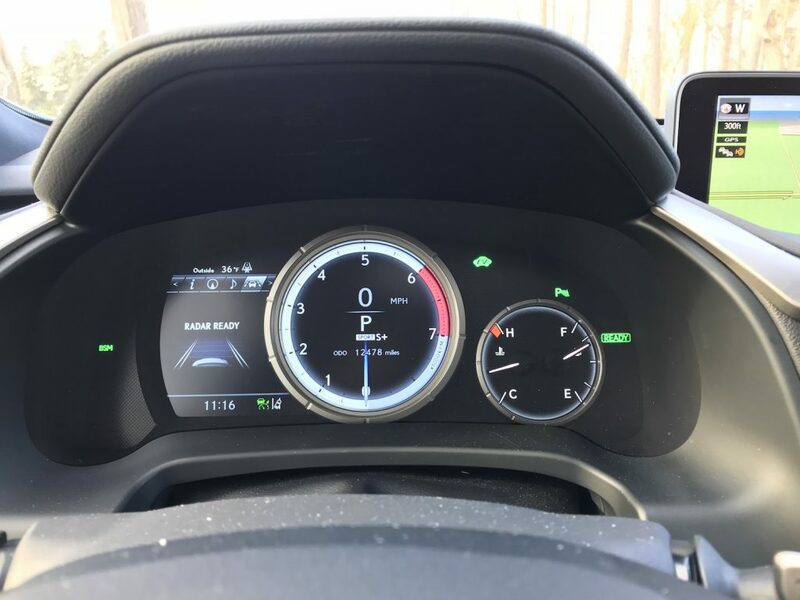 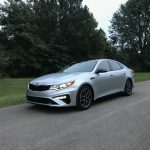 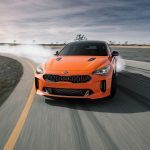 It combines a tachometer and a digital speedometer, while also providing G-force metrics, navigation information, torque distribution and so much more. 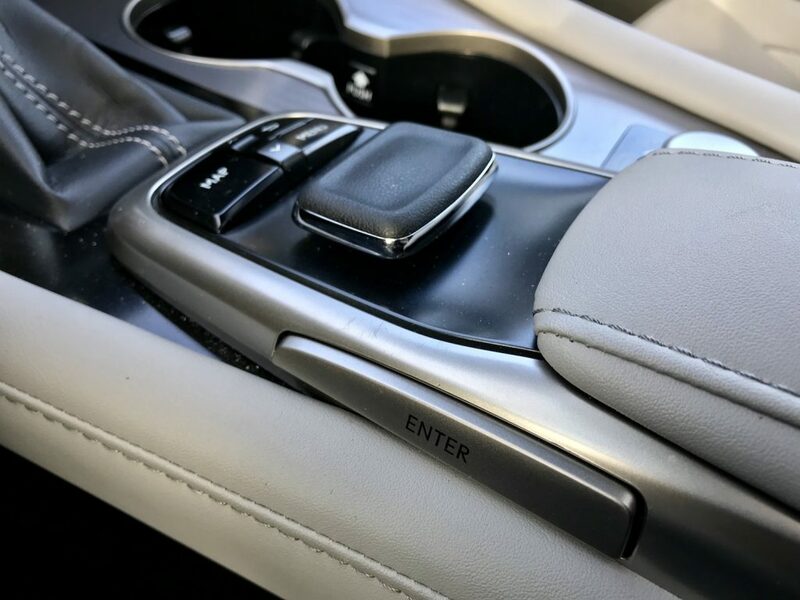 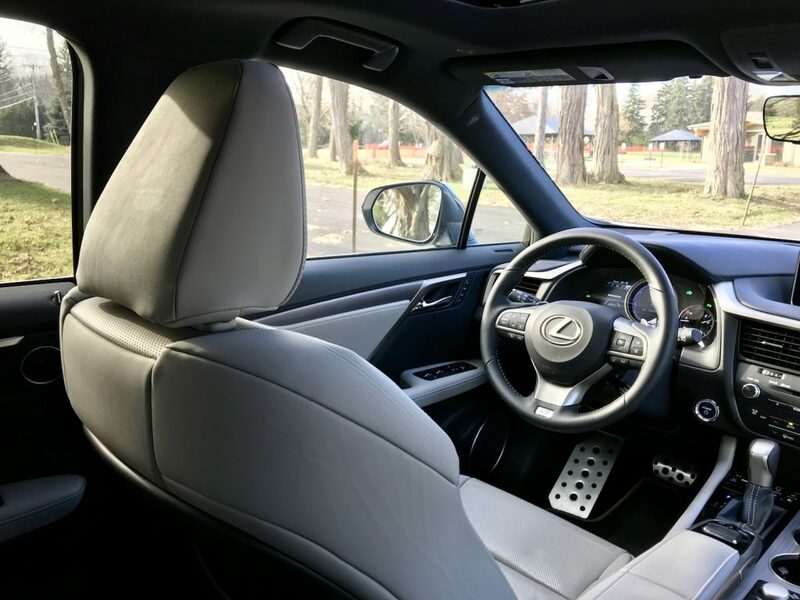 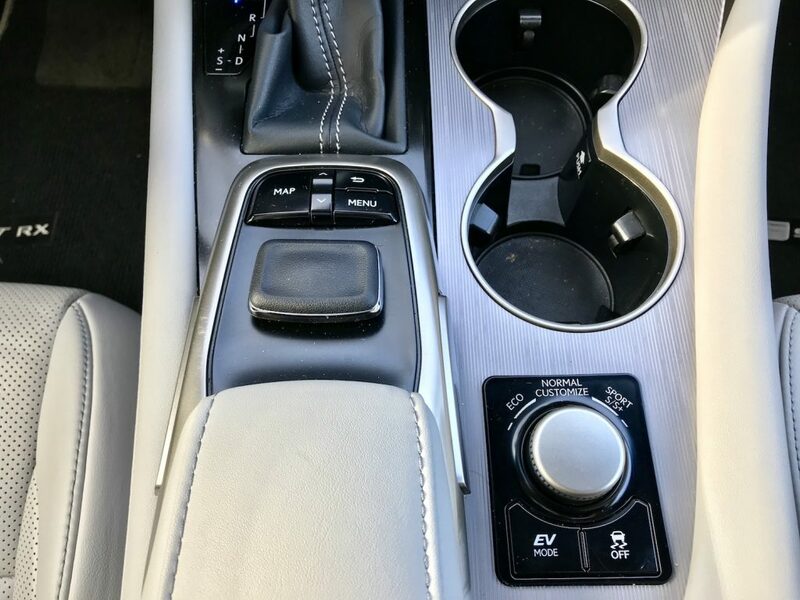 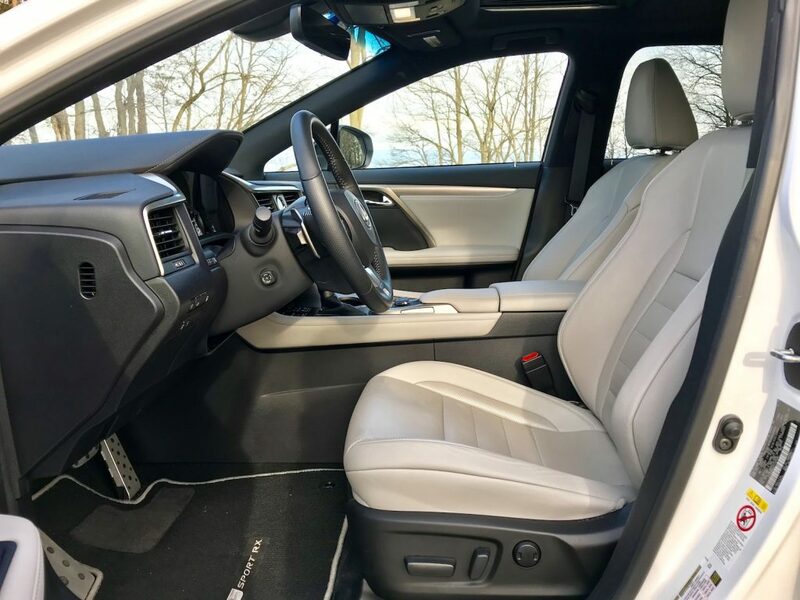 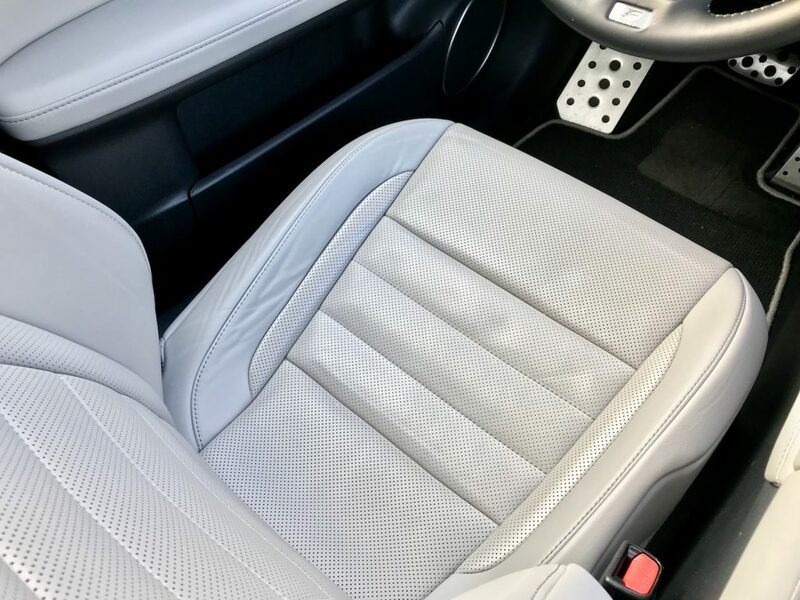 Highly supportive quilted seats, a unique perforated leather-wrapped shift lever and three-spoke sport steering wheel with F SPORT badge, aluminum interior trim accents and drilled non-slip lightweight aluminum pedals, make the RX 450h F-Sport cabin an exciting place to be. 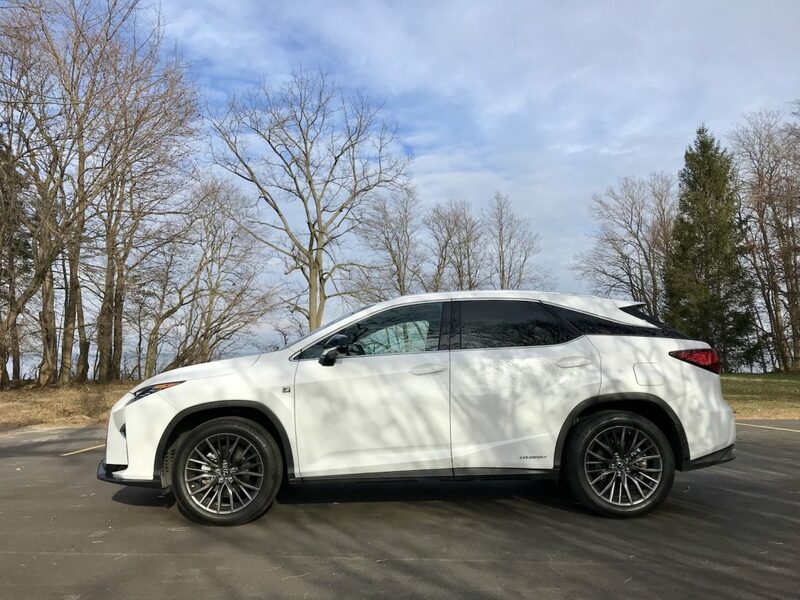 The Lexus RX 450h AWD F-Sport is the perfect all-around luxury vehicle. 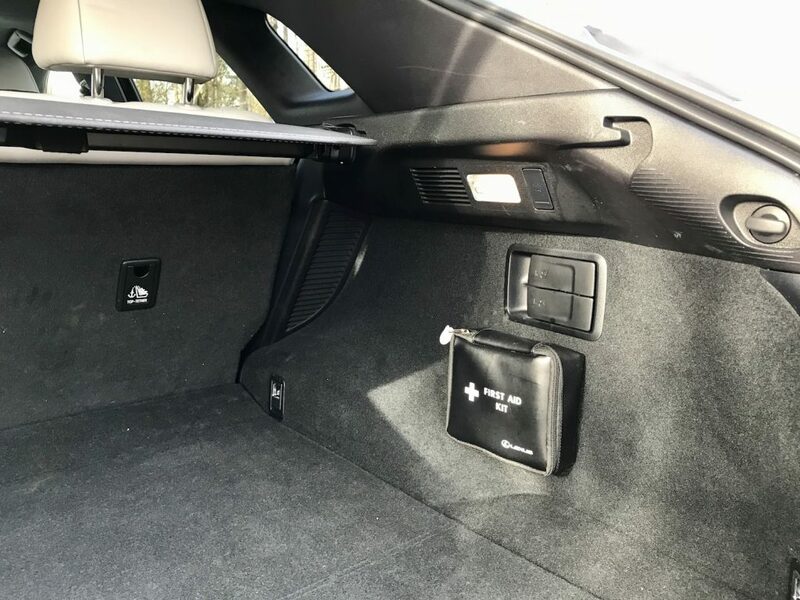 It checks off every box and we can’t be more impressed.